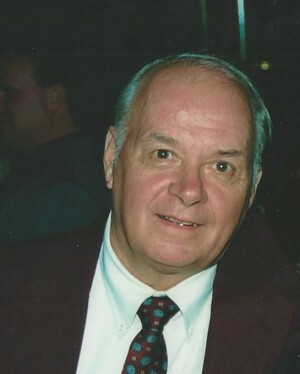 FULTON, NY – Thomas E. Chalifoux, 74, passed away peacefully at home, with his family around him, on Thursday January 21, 2016. Tom was the hardest worker you’d ever meet, owned every tool ever made and would wrestle you to pick up every check. He loved his family, a beer on the dock, any basketball game, helping everyone with their projects, and, maybe most of all, his dog. He could not have been prouder of his children and grandchildren. He worked as a kid “peddling” milk for Riverside Dairy, put on hundreds of roofs (falling off only a few) and retired from Nestlé after 30 years as a foreman. He leaves behind his wife of 50 years, Gerry; grateful daughters, Sheila (Jim Fitzsimmons) and Lisa (Tammy); adoring grandchildren, Griffin, Lane, Quin, Liam and Harper; his brother, Fran (Betsy); loving nieces and nephews and lots of good friends. He was predeceased by his parents, George and Sally (Green); and his brothers, Joe and Bill. Calling hours will be on Sunday, January 24, from 2 to 5 p.m. at Foster Funeral Home, 910 Fay St., Fulton. A Mass of Christian Burial will be celebrated at 11:30 a.m. on Monday, January 25, at Holy Trinity Church, corner of Rochester and South Third streets in Fulton. Burial will be in St. Mary’s Cemetery in the spring. Gerry, So sorry to hear about Tom passing. Worked with him for years in Bldg. 30. Lots of memories. My condolences. Tom was such a nice person, enjoyed working with him in Bldg 30, he will be missed by many. My condolences to you and the family. Work for many years with Tom at Nestles, , One of nice’s guy,’s to work with. Tom will be missed,rest in peace my friend.